Ok, so, ya know how I always say how awesome a new recipe is? I often use words like "bangin" or "slammin", or "to die for"....... Well, is there a word that means all of those things combined? Because, seriously, just wait until you taste these! They're insanely good! Jerry used the word AMAZING. Chris used the word OUTRAGEOUS. I'm running out of adjectives! Line a cupcake pan with 12 paper liners. Set aside. In a large bowl, cream together butter and sugar until fluffy. Add egg and vanilla and beat well. In a separate bowl, combine Irish cream, water and milk. In a third bowl, sift together the flour baking powder and salt. Add the dry mixture to the butter mixture alternately with the wet mixture. Divide batter equally between the 12 cupcakes and bake for about 25 minutes or until top springs back when lightly tapped. Cool completely before frosting with Bailey's Irish Cream Frosting. If you prefer a different brand of Irish cream, by all means, use it!! 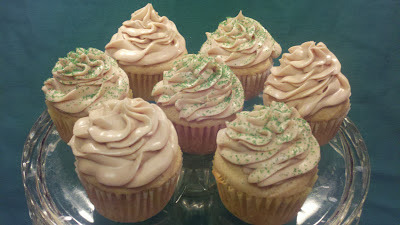 You could even try any of the flavored varieties of Bailey's Irish Cream. YUM! If you're baking for a crowd, simply double the recipe! More is more! I just made these and they were outstanding! I doubled the recipe and these deliver flavor with every bite. 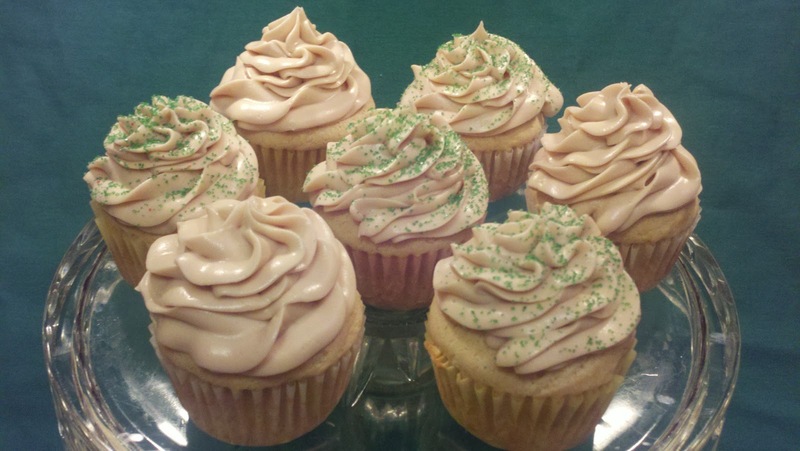 The cupcake is moist and the frosting deliciously intensifies the flavor of irish cream. No changes to the recipe. My regards to the chef! !